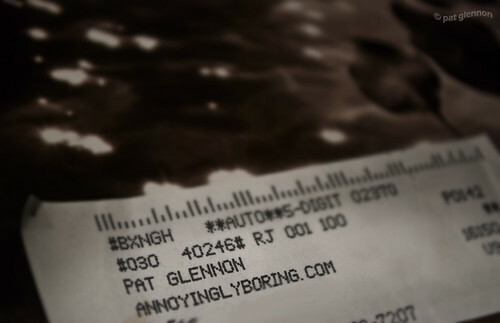 Mail Call (37/365 v2.0) – Annoyingly Boring? My first issue of Rangefinder came today, complete with annoyinglyboring.com in the address line. 2 Legit 2 Quit! Ruprechts last blog post..Mouldy Oldie? Awesome! That mag would be so over my head it’s not funny… all I can handle is point and shoot. That’s so cool! I have mail that comes to me addressed to “MangyCat”. :o) It rocks.